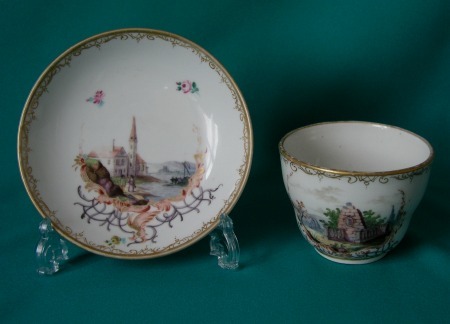 A 19th century Dresden porcelain Cup (by Carl Thieme*) and Meissen Saucer, finely painted with rural/harbor scenes and gilt. 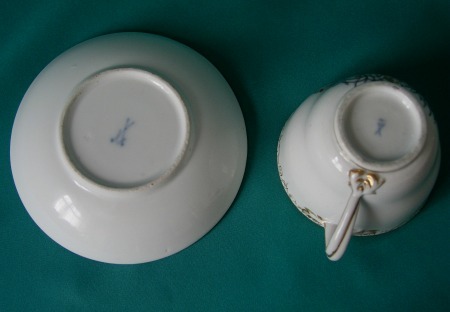 Dimensions: cup 6 cm high x 8.3 cm diam; saucer 12.3 cm diam. 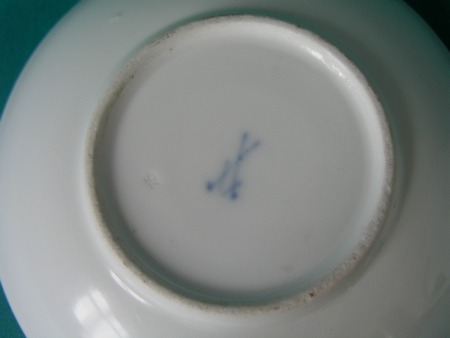 Marks: Painted marks in blue underglaze, "75" impressed on the saucer. Condition: Minor ware on the saucer. 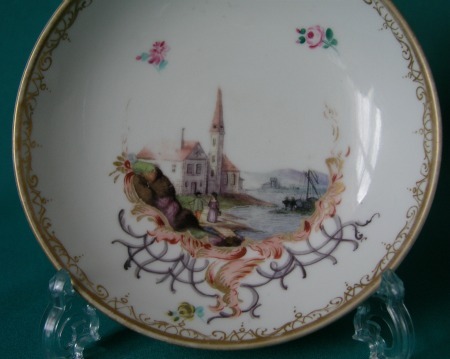 * Carl Thieme was one of many independent decorators in Saxony who did their job at home and brought many new impulses to the traditional porcelain art. 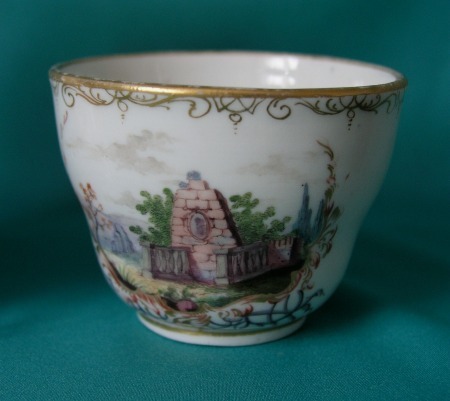 He decided to manufacture his own white pieces and founded the today’s Saxon Porcelain Manufactory in Potschappel. 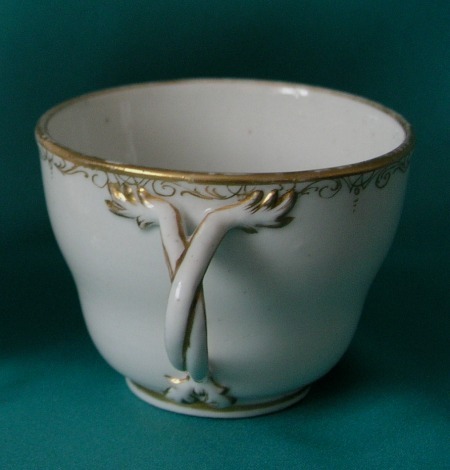 On September 17th 1872 he began with the production of decorative fancy wares and luxury porcelain.